CRESTLINE — Crestline’s girls tennis team won two contests last season, for the first time under head coach Katie Stasen. Stasen is back again this fall for her fourth season and is looking to improve on the ‘Dogs 2-14 record in 2017. Stasen’s squad will be facing some adversity however, as only two letterwinners return from a year ago. Michaela Jeffrey and Katlyn Stull were lost to graduation. Letterwinners Desi Hunt and Jeri-ka Cassady will suit back up for Crestline and will be joined by first-year players Alandra Tesso and Desi Naveja. “This is a rebuilding year with only the two returning varsity players from last year,” Stasen said. “We are learning the game and skills with hopes that we will be victorious in a match or two this fall. On Monday, Augu. 13, the season will officially get underway for the Lady ‘Dogs as they travel to Marion for a meeting with Pleasant. Crestline will play its home opener Augu. 15 against Galion’s junior varsity squad. 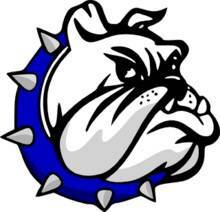 Mid-Buckeye Conference play opens up for the Bulldogs on Aug. 22, on the road against St. Peter’s .